The release cycle for Apache sometimes tend to be a bit long. 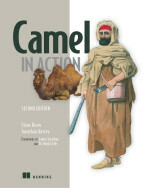 Apache Camel 1.5.0 was released in october 2008. If you cant wait for a new release, you can try out the fuse releases. They are free to use and requires no license fees or whatsoever. Fuse releases have a constant and stable release cycle. We release a stable and proven version once a month. All releases is published in our open maven repository that is open for everyone to use. More information about why is here. Lets try it out with an example. We use the part-five.zip from the lengthy tutorial as an example. Then we need to change the use the fuse releases, and that is very simple as you just need to change the version. And it should start downloading all the fuse artifacts and after a while run the unit tests.